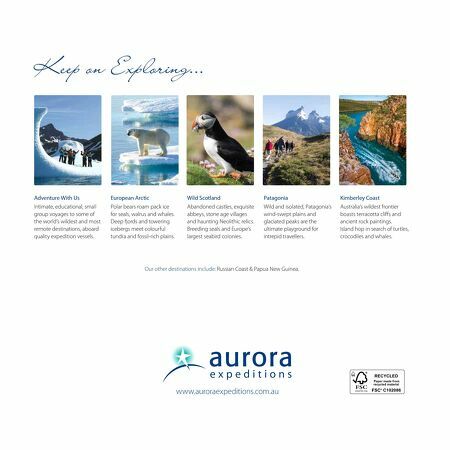 www.auroraexpeditions.com.au Our other destinations include: Russian Coast & Papua New Guinea. 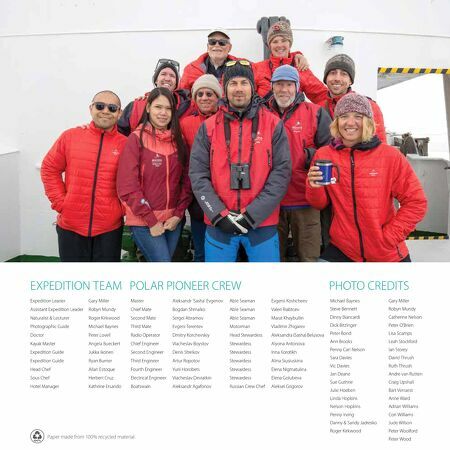 Adventure With Us Intimate, educational, small group voyages to some of the world's wildest and most remote destinations, aboard quality expedition vessels. European Arctic Polar bears roam pack ice for seals, walrus and whales. Deep ords and towering icebergs meet colourful tundra and fossil-rich plains. Wild Scotland Abandoned castles, exquisite abbeys, stone age villages and haunting Neolithic relics. Breeding seals and Europe's largest seabird colonies. Patagonia Wild and isolated, Patagonia's wind-swept plains and glaciated peaks are the ultimate playground for intrepid travellers. Kimberley Coast Australia's wildest frontier boasts terracotta cliffs and ancient rock paintings. Island hop in search of turtles, crocodiles and whales.